The quickest and simplest way to get started in photography is to set your camera to the Automatic Mode and shoot away. Just point & click. The issue with this is that you probably have no idea what your camera is actually doing! Not very helpful, right? Ok, so let’s go one step further… It all starts with getting the manual out of the box. Hell, you didn’t need me to tell you that, but it is fundamental to actually getting places with your camera. That’s because every camera is different, not just varying between brands, but between models too! That’s why whatever introduction guide to photography you read, be it in a book or online, you’re going to need your manual. The photographer chooses both aperture and shutter speed, providing the greatest latitude for creative expression. Choosing the wrong combination could, however, result in photographs that are too bright (overexposed) or too dark (underexposed). The Exposure or lighting of a photograph is made of 3 components: Aperture, Shutter Speed & ISO. 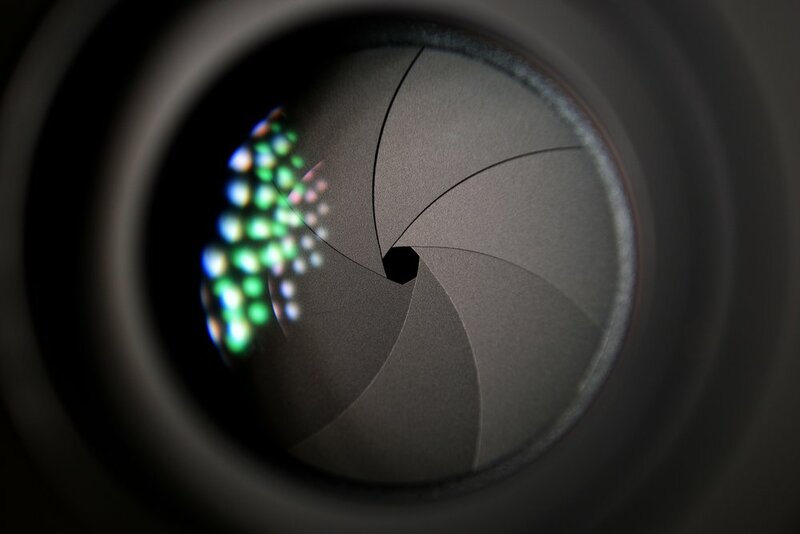 Aperture refers to the lens diaphragm. In the Automatic Mode, it works a little like the human eye and narrows when there is a lot of light or widens when there isn’t enough light. It’s measured in what are called f-stops, such as f1.4, f2.8, f4, f5.6, f8, f11, f16, f22 and so on. The smaller the number, the wider the diaphragm, the more light enters the camera, and vice versa. Picture the lens on your camera as a big eye. The more you open the eye, the more light it lets in. The more you close it, the less light it lets in. Well lenses work the same! As a rule of thumb, start on the largest opening possible, meaning the largest aperture setting available, as this will allow the largest amount of light to get through to the camera’s sensor. However, the fun comes into play when you start to experiment with Aperture. A wide aperture, say f2.8, leads to a shallow depth of field so only your subject is in focus, making the background, or foreground if you wish, blurry. A narrow aperture, say f22 increases the depth of field, meaning the majority of your image will be in focus. Shutter Speed is a measure of the time the shutter remains open when capturing a photo, or how fast or slow the camera works, if you wish. Its measured in seconds, or fractions of seconds. As an example, 1/4000 s would be a relatively fast shutter speed, while say 1/25 s or 2 seconds would be considered slow shutter speeds. Obviously, the faster the shutter speed, the less light hits the camera sensor, making your photo darker. The slower the shutter speed, the more light gets through to the sensor, the lighter your photo. But here’s the kicker: shutter speed can be used to capture motion. Slow shutter speeds capture light over a longer period of time, which can introduce motion blur into your images, which isn’t necessarily a bad thing. It just depends on what kind of photo you are going for. Want motion blur to show the speed of a moving object, such as an athlete, a car, a train…? Then you should be using slow shutter speeds. Want clear sharp images with no blur at all? Use fast shutter speeds. Just bear in mind that past 1/40 s or so, the movement of your hands holding the camera will begin to introduce blur, meaning you’ll need a tripod! ISO stands for International Standards Organisation, which doesn’t exactly tell you much about what it actually means. ISO in photography is a measure of the sensitivity of the image sensor to light. Most cameras have a lower ISO sensitivity setting of 100, and higher ISO settings that extend up to 25600 and beyond. Though don’t be fooled by the big numbers! Most photographers use ISO 100 settings as ambient light is usually sufficient under normal conditions. When the ISO setting is increased, the image sensor becomes more sensitive to light, making images lighter, but there’s a catch! Increasing the ISO sensitivity on your camera introduces noise into the image, making it grainy. The higher the ISO sensitivity, the grainier or noisier the resulting photo will be. As a rule of thumb, keep your ISO on it’s lowest setting as this will keep the amount of noise in your photos to a minimum and lead to clean, crisp images. If your shooting in poor light conditions and your images are too dark, you may consider upping the ISO, though you should only really do this if it is the only option left or you are going for some grainy-artistic look, which we’ll get to later. Much later! So now that you understand these terms, you will have a greater understanding of the exposure modes.Start out by using the semi-automatic modes like Shutter-priority and Aperture-priority modes. While you mess around with one setting, the camera while counter-balance the other settings to achieve a well exposed image. Once you feel a little more comfortable with what each setting does, you can progress to Manual mode, where you will have full control over the camera, making you the one in charge! This is all good on paper, but the only way to fully grasp these concepts is though trial and error, so get out there and give it a go! Once you’ve nailed the basics of exposure, go ahead and check out some of the photography tips and rules of composition for ways of framing your photos!